beim Stöbern habe ich noch eine Möglichkeit für einen Hawk Höcker von HERU gefunden. 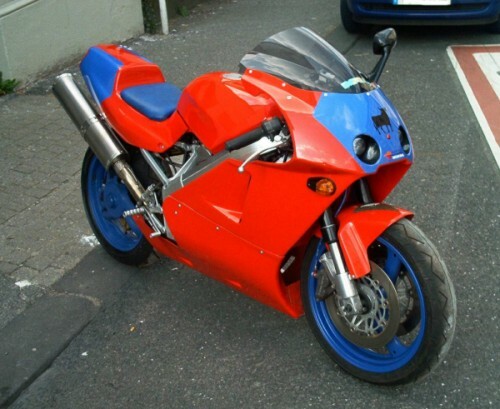 Ist ein NSR250 oder CBR400 abgeändert. The post was edited 1 time, last by Luis ( Feb 5th 2016, 9:09pm ). Is this tail for sale? If it is I'm interested. How much? Ist dieses ''tail'' zu kauf? Ich bin interessiert. Felices don't has the tail for sale he only found it online on Heru's website. So if you want to know the price you need to ask Heru. I send you the link try to come in contact if you can't ask me again I will find out for you. Thank you so much Luis. Really appreciate it. I'll try to find out and email Heru.